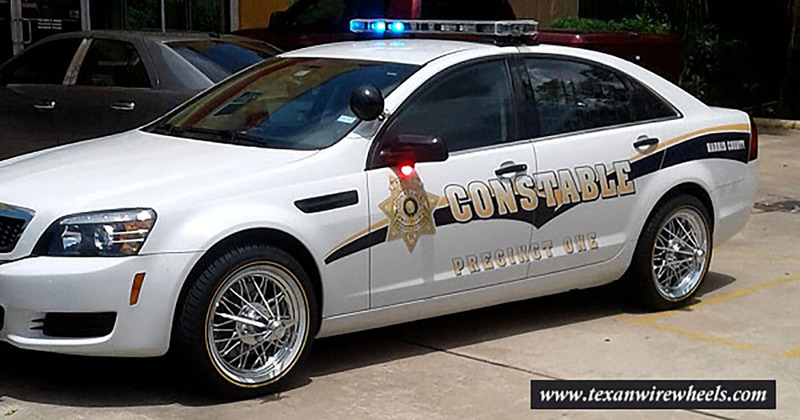 On any street or freeway in Houston, you will see shiny cars with rims protruding far out from their tires. And on some of these cars, the top and back of the trunks have cut rims with “poke” that are beautifully displayed, but proudly nonfunctional and serves as eye candy representing spare tires. These cars are called Slabs. A Slab is not a Lowrider, it’s not a classic car, nor is it an art car. It is part of something much larger with a style all its own. It has its own culture – the Slab Culture, which was born in Houston back in the ’80s and has quickly spread through the nation. So, what is a “Slab”? Some say it’s an acronym for Slow, Low and Bangin’ or Slow, Loud and Bangin’, depending on who you ask – slow can either be the music (screw) or the speed of the car, loud refers to the volume of the stereo in the trunk and bangin’ means that your car is customized well (throwed, tight). A Slab is normally an old-school American car customized with candy paint (shiny red, blue, green, gold, purple, etc. 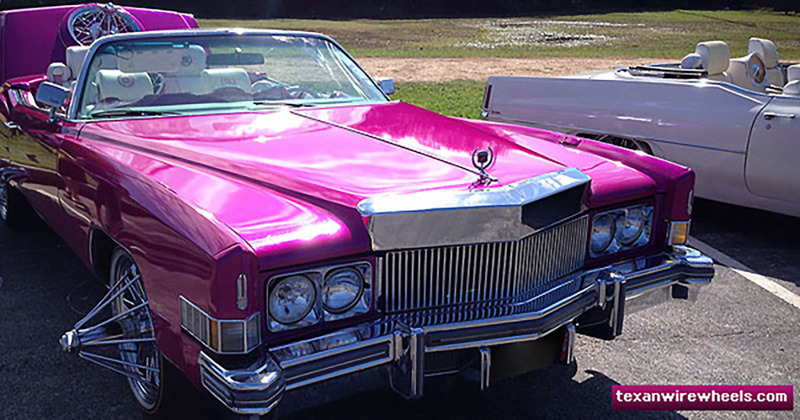 colors), lush interiors and must have Texan Wire Wheels ’83s® or ’84s® Elbow® “wire wheels” known as Swangas®. 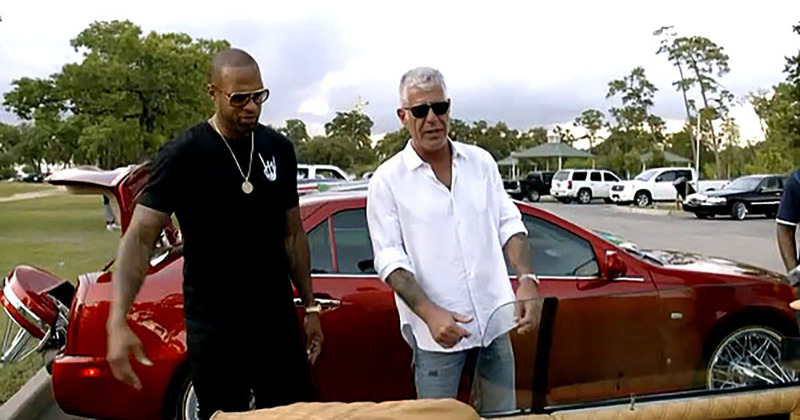 The Slab is an “H-Town” thing – recognized by indicators such as unessential fifth wheel on back, luminous lights in the open trunk and fly stereo systems. But, if it doesn’t have those “swangas”, it’s NOT a slab. Many music artists sing about Slabs or reference Slabs in their songs. One such song is I’m No Angel by Beyoncé from her 2013 CD. She does a shout-out to Houston where she references SLABs and proclaims her homegirl-ness. 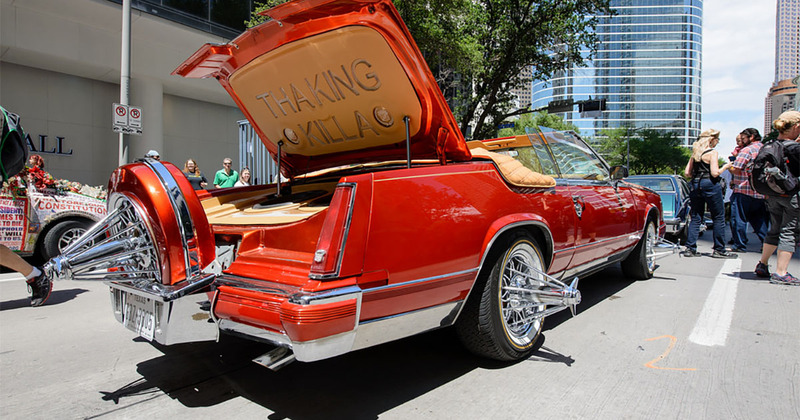 In fact, the video accompanying the song No Angel was shot at Houston’s first ever “Slab Parade and Family Festival” in October 2013. A native of Houston, Texas, Langston Collins Wilkins is a PhD Candidate in the Department of Folklore & Ethnomusicology at Indiana University. He also holds master’s degrees in African-American & African Diaspora Studies and Folklore & Ethnomusicology from Indiana University. His research interests include African-American music & culture, hip hop culture, popular music, and the relationship between music & place. He is probably one of the world’s most leading authorities on Slabs. Although Langston grew up on the south side of Houston, the epicenter of the city’s slowed-down, chopped-and-screwed rap scene, as a kid he wasn’t part of the scene and didn’t know much about the Slab Culture. He admired the jeweled-colored cars he often saw at Cloverland Park in Sunnyside, the neighborhood where the style was born, and was in awe of how the cars would take their places in the parking lot the way that kings take their thrones. Langston is the founder of Houston SLAB Parade and Family Festival. The 2013 inaugural event brought over 4,000 people, from all walks of life, into the heart of urban Houston in celebration of a distinctive culture. Langston’s hope is to enlighten people about the Slab – it’s an urban art form. It’s about hard-working people, both men and women who like to invest extra money in their cars.